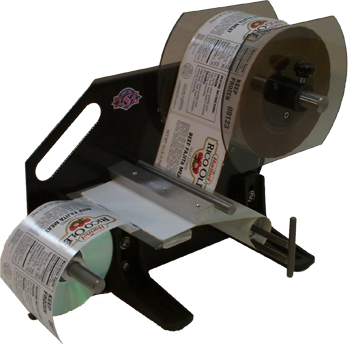 A heavy duty portable battery powered rechargable automatic label dispenser for label sizes from 1" to 5" wide and 1" to 8" long with limited AC access for frequent location changes. Powered by a standard 12VDC sealed lead acid battery and includes a Smart Charger wall plug charger which can be used as AC adapter. Label dispensing speeds to 5" per Second.